Naming architecture: on perception, migrations and exoticism. Through a series of computer rendered images, "La Medina: Notes from a Focus Groups" by Max Colson explores how our perception of spaces is influenced by names and tags. Completed in 2016, this film smartly addresses the contradictions rooted in Western (specifically in European) cultures, where the desires for exoticism and difference clash with political debates concerning migrations and identities, exposing structural racism and unresolved colonialist issues. "Le Medi", a housing development situated in Rotterdam (The Netherlands), was built in 2008 in a low income district of the city, populated by immigrants from Turkey and Morocco. The original name to be chosen was "La Medina", a homage to the architectural style (and vibe) of the construction, which, comprehensibly, deeply resonated within the inhabitants of that area. 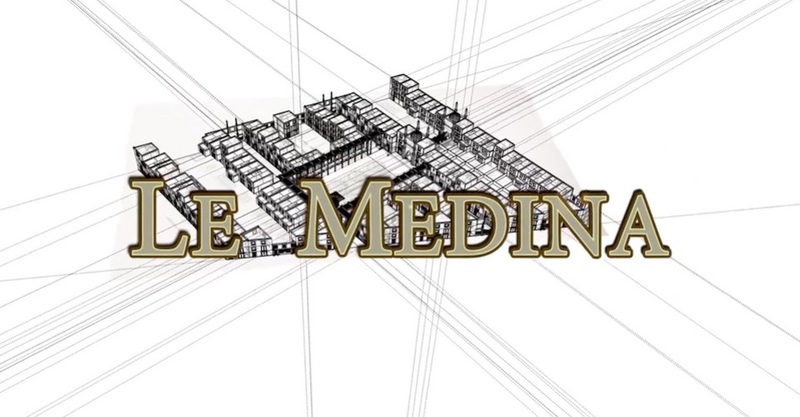 And this was one of the reasons why the society that run the place decided to change its name to "La Medi": when they run a focus group, before bringing the housing to the market, the findings showed that the references to the islamic - Arabic culture, which were clearly visible as inspiration for the whole architecture, made people worry about "people loitering", neighbors being too noisy and possible culture clashes, that would not appeal to more affluent (and therefore desirable) buyers. A new name was chosen: Le Medi, which now seems short for "Le Mediterranean sea". People from the focus group now were day-dreaming about holidays in Spain, women hanging their washing, sangria and narrow streets. The architecture hasn’t been touched, only its name: this paradoxical situation is what Max Colson addresses, using a half-finished 3D model of the space. A change name transforms the whole perception of a building, toning down the Arab architectural origins of it. Through this focus group’s notes, it emerges that affluent residents in (Continental) Europe still have a strong desire for everything that feel "exotic" to them - see how Southern Spain seems only able to evoke holidays, as it was not part of the same continent - but want this difference to be diluted, toned down, coopted by their own aesthetics. Max Colson limits himself to present the results of this focus group, not adding any further comment: however, with increasing debates around immigration and identity in Europe, short films like this should help us in understanding what "inspiration" means, what "cultural appropriation" is like and what mixitè in neighborhoods should really look like.